Ten One Design is mostly known for the Pogo Stylus, which comes in multiple designs. Bumping into the team at CES, I was able to get a glance at the Magnus Mini, their new iPad mini stand. It is one of the most simplistically designed iPad stands I have ever used. With just a small base and a minimal lip, iPad is held at a perfect angle to remain standing with as little effort as possible. The secret behind the Magnus Mini’s minimal design is magnets. The age old secret of many devices that require a little extra grip. 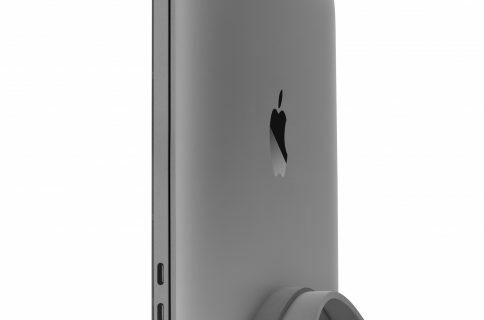 Inside the small lip on which the iPad rests, is a row of 10 magnets to keep things taut. Although the iPad is quite readily affixed to the stand, a very smooth rubberized surface provides a scratch resistant connection. 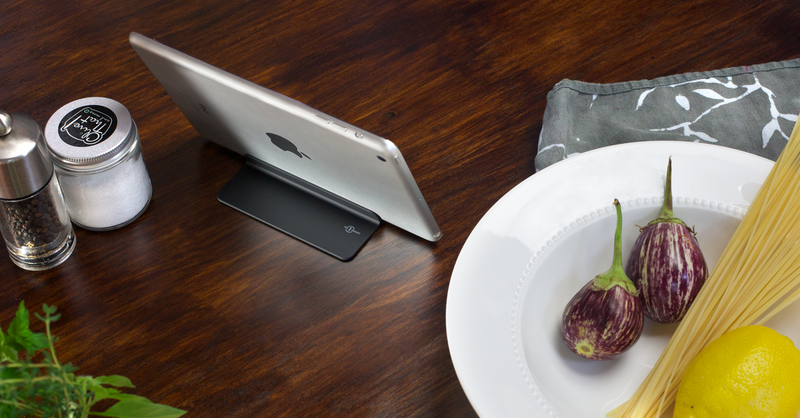 Magnets keep the iPad affixed, even when moving around the house, but it can be disconnected very simply without much pressure. From the front, the iPad keeps a clean profile, due to the thin stand design. 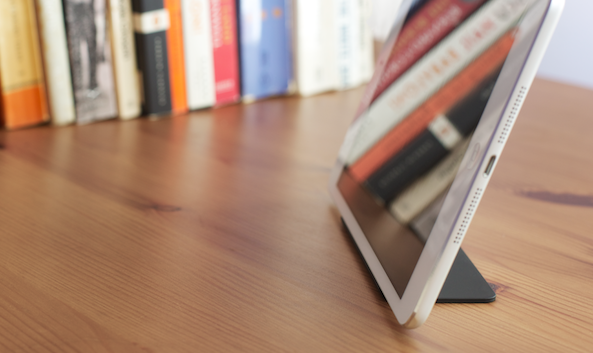 When facing iPad directly, there is only 1 or 2mm between the surface and the device, making the Magnus Mini stand almost completely invisible. 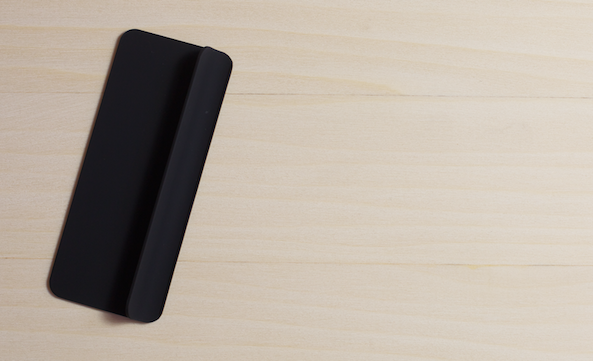 At 19 grams, the Magnus Mini will add no noticeable weight to your device and is a perfect travel companion. My last trip to California included the lightweight Magnus Mini and I did not notice its addition among many other iOS accessories. It is great for using on an airplane tray table or your everyday office desk. At $26, there is a little hesitation. I really enjoy the Magnus Mini stand, especially its lightweight and simplistic design. You can even flip iPad over and use the stand for an elevated typing angle. However, I would be a little more comfortable at $19.99. The product is high quality, especially with the scratch resistant coating. 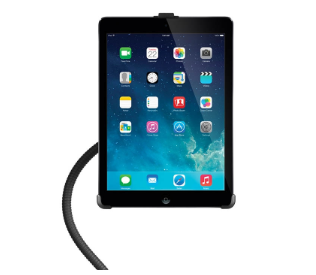 It easily holds your device with minimal interference and at a reasonable angle. But with the inability to adjust the viewing angle, pick multiple colors, use it with an iPad Air, or adhere it to a surface, there are reasonable expectations that are not met at a $30 suggested retail price. Overall, I still say give it a go, but make sure you are truly invested in the purchase.